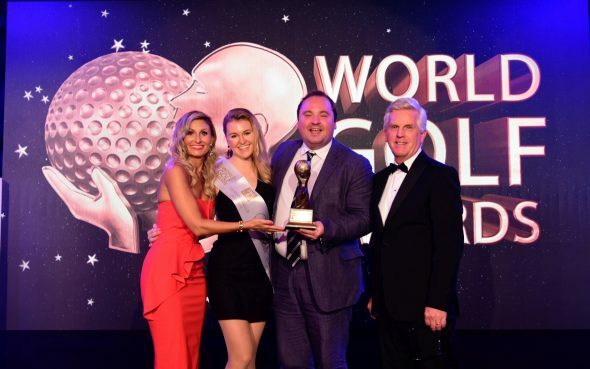 The prestigious five-AA Red Star Stoke Park Country Club, Spa & Hotel, in Buckinghamshire, has landed an astonishing hat-trick of highly regarded golf accolades. In the space of a little more than a week, Stoke Park was revealed as the top English golf resort in the inaugural Golf World ‘Top 100 Resorts in UK & Ireland’ ranking; named ‘UK Golf Resort of the Year’ in Square Mile, the leading luxury lifestyle publication for the City of London; and, at the World Golf Awards (WGA), in Spain, was hailed as having the world’s best clubhouse. In the new Golf World list, Stoke Park was kept off top spot for the UK&I only by two Scottish and two Irish venues: Gleneagles, Trump Turnberry, The K Club and Trump Doonbeg. Praising the historic venue, the magazine’s editorial described the course as being “of considerable pedigree (and) being astutely updated”. And the title of ‘world’s best clubhouse’ sits neatly alongside last year’s accolade afforded it by the leading US publication Golf Magazine, which hailed the Georgian mansion as the ‘fifth most iconic clubhouse in world golf’. The instantly recognisable clubhouse – which dates from the late 18th century and was designed by architect to the Crown James Wyatt – became synonymous with golf when it featured prominently in James Bond’s golfing clash with Auric Goldfinger, in the classic 1964 film, Goldfinger. It sits on the highest point of 300 acres of mid-19th century Lancelot ‘Capability’ Brown-landscaped parkland and has been immortalised in many other films and TV series, including the 2004 crime thriller Layer Cake, which starred soon-to-be-Bond Daniel Craig, the 2001 romantic comedy Bridget Jones’s Diary, and, most recently on the small screen, BBC’s The Apprentice. Wyatt was the country’s most fashionable architect at the time, after designing the Pantheon, in London’s Oxford Street. He was commissioned to design Stoke Park’s striking ‘palace’ by then resident of the estate John Penn, grandson of William Penn Jnr, who founded Pennsylvania, in the USA. Work began on the building in 1789, at a location suggested previously to Penn’s forebears by, among others, the great landscape designer ‘Capability’ Brown, who had laid out the parkland in 1750. Stoke Park’s head of communications, Nick Downie, was present to accept the WGA award at La Manga Club, in Spain, and said: “Everybody who works in the building says the same thing: it’s a wonderful place to spend the day. We are very proud of the mansion and to find out that golfers around the world feel it is also the best clubhouse gives us a special thrill. The historic Stoke Park – one of just two five-AA Red Star golf clubs in England – boasts 27 Harry Colt-designed holes and a thriving golf club with around 800 members. Its numerous facilities include a state-of-the-art health club, spa and pool, 13 tennis courts, and three restaurants and bars, including the three AA rosette fine dining Humphry’s. Located in Stoke Poges, Bucks, Stoke Park is only 35 minutes from London and seven miles from Heathrow Airport, and the historic land on which it stands is recorded in the Domesday Book of 1086.